Romanian-born fashion designer Lucian Matis grew up in his mothers tailor shop and began designing at a very early age, with his first customers being his school teachers. Prior to moving to Canada in 1999, Matis studied art and completed a specialization in painting and graphics at the Sibiu Art Institute in Transylvania. In 2000, Matis continued his education in the Fashion Design program at Ryerson University where his talent was very quickly noticed. Along with being granted an early graduation in 2003, he also received multiple awards including: The Fur Council of Canada Award (2002), Le Chateaus Menswear Competition (2002), Peoples Choice Award for Best Sketch (2002), Semi-finalist for the International Young Designer Competition (2002) and Alfred Sung Award for great design talent (2003). Lucian’s first professional collection was presented at LOreal Fashion Weeks Fall/Winter 2007 shows, and was received with great accolades and praise from the Canadian industry. Matis has gone on to secure an unmatched presence in television, online and print media. He was requested for a special guest appearance on the season finale of the highly rated Canada’s Next Top Model where his collection was featured in the its entirety. Matis was also invited to participate on the first season of Slice networks hit reality TV show, Project Runway Canada where he gained a vast fan base across the country, and took a contentious second place. 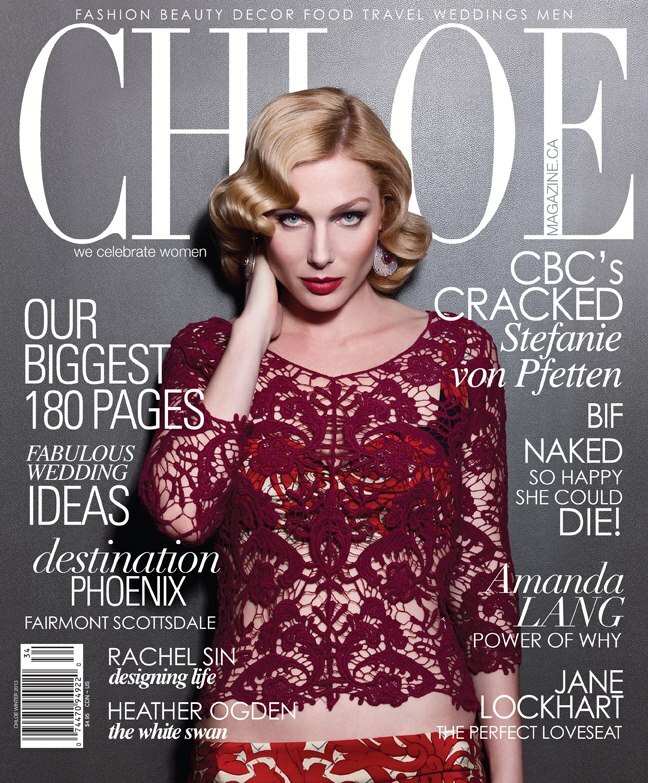 In addition, Matis has been featured in several in-depth profiles on Fashion Television, and has done regular on-air runway reports on his collections for Etalk, Entertainment Tonight Canada, Breakfast Television, CityLine, Marilyn Dennis, Global Television, CBC World News, and CP24. His designs have been worn by numerous internationally renowned celebrities, including Nelly Furtado, Sarah Gadon, Andrea Martin, Mia Martina, Coco Rocha, Petra Nemkova, just to name a few. Lucian Matis is available through custom orders Here. 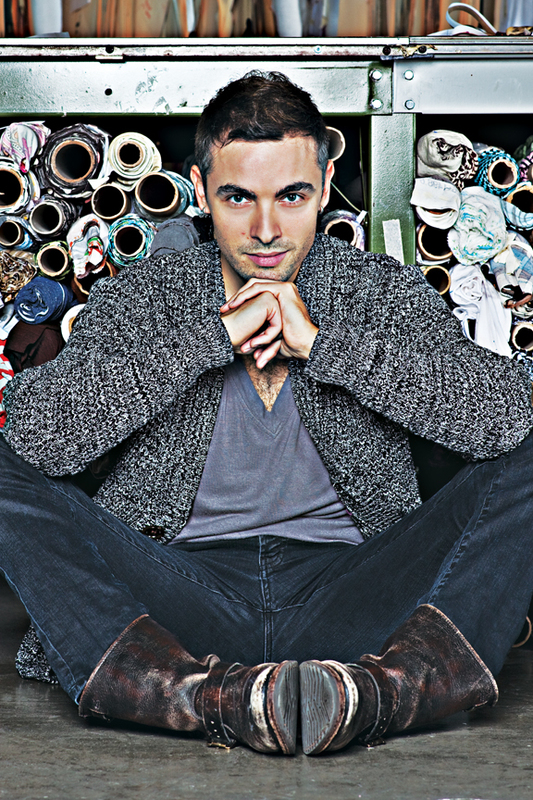 With three different collections, the label Lucian Matis has become a household name in the Canadian fashion industry. The “Lucian Matis” runway collection has been presented twice a year since 2007 during Toronto Fashion Week, and has appeared in prestigious and notable media editorials and spreads in: Flare, Elle Canada, Lush, Applied Arts, Globe & Mail, The Toronto Star, The National Post, ION, Tribute (France), Women’s Wear Daily (USA), and Launchpad (USA), Zink USA, French just to name a few. 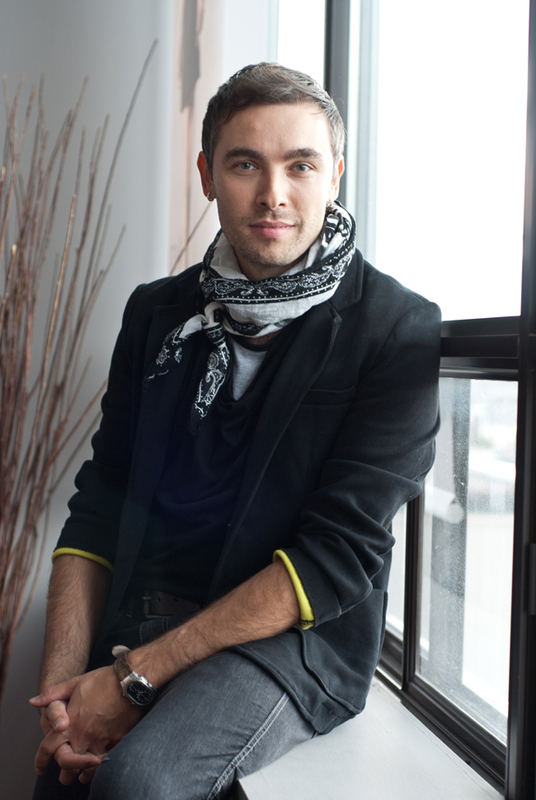 He is often mentioned on style, fashion and trend blogs internationally as well. Daphne by Lucian Matis is now in its eighth season and is sold exclusively on the Shopping Channel, with plans of expansion in the US and Europe. MATIS by Lucian Matis is an affordable versatile collection created for a career woman who loves a splash of trend into her wardrobe. It encompasses dresses, casual and dressy tops, suiting (both skirts and pants) as well as knitwear. The collection is sized XS to XL to suit all body, age and fashion types. The materials used are mostly natural fibers such as rayon and silk, but it also has blends, for suiting and other more contracted garments. I had the absolute pleasure to meet and interview Lucian Matis at World MasterCard Fashion Week Spring/Summer 2013. Not only was he absolutely charming and incredibly handsome, his talent really takes fashion to a whole new level. I think his designs are breathtaking and beautiful, leaves you definitely wanting and craving more. There is no doubt we will see some incredible things to come. With such beauty and grace, it was a no brainer that I felt that Lucian Matis would be a wonderful addition to Beauty Buzz 411’s ever-growing interview features on pretty amazing individuals. Sit back and indulge! LM~ I decided to become a designer when I moved to Canada in 1999. LM~ Maybe a musician or a painter. LM~ From a very early age I admired Jil Sander and Jean Paul Gaultier. LM~ Subconsciously yes! I was just not aware of it. As a child I was never happy with my haircuts and the shoes that were purchased for me. I remember always crying over not having my own tastes recognized. Communist Romania didn’t have a great selection of merchandise so it must have been hard on my parents as well seeing their child unhappy. LM~ I am not often in contact with the celebrities I dress as I only ship the garments to their stylist/hotel room. One great memory I have was when I got to spend a day with Andrea Martin and truly enjoyed it. She is just as fun in person as she is on TV. LM~ The final bow! I love the finales in my show because the audience have viewed the summation of my creativity for the season and their response tells me if they liked it or not. LM~ I wanted beautiful simplicity. I didn’t want a hair and beauty show overshadowing the garments but rather complementing them. LM~ I love Fall/Winter and holiday. LM~ I can never decide on a colour however I love jewel tones on women. LM~ Mostly casual, easy comfortable with a twist. LM~ This is a very broad question that can get me talking for a day…or two. LM~ Yes I participate in a lot of charities involved with cancer research. There are too many people diagnosed and dying of this terrible illness. LM~ It gives meaning to some of the work I do. LM~ Hmmm…Maybe to enjoy the process more and stress less. LM~ I am pretty simple when it comes to my beauty regime. I wash my face in the morning and at night. I also use Argan oil once or twice a week. LM~ My fragrance, lip balm and a hand cream. LM~ Argan oil. It’s the only beauty product I use really. LM~ I think that fragrance is one of the best memory triggers therefore certain smells bring me back to my childhood. LM~ My favourite scent at the moment is Lalique – Hommage a L’Homme. LM~ ……I can be very serious and sometimes very wild when the occasion arises. To keep up to date on Lucian Matis and his Matis by Lucian Matis collections, Check out Twitter, Become a Fan on Facebook and Visit his Website. 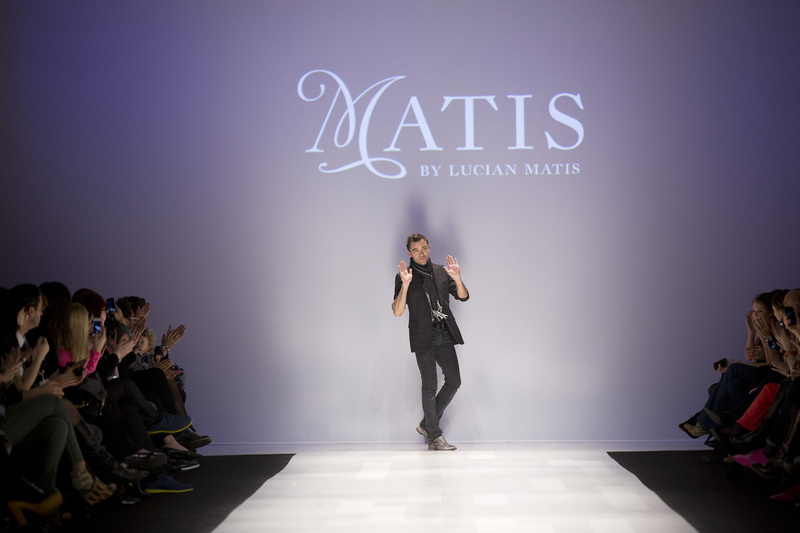 You can also see Lucian Matis 2013 Fall collection from World MasterCard Fashion Week Here.